Presentation handouts when created properly, can be an effective marketing tool that can aid the generation of business. 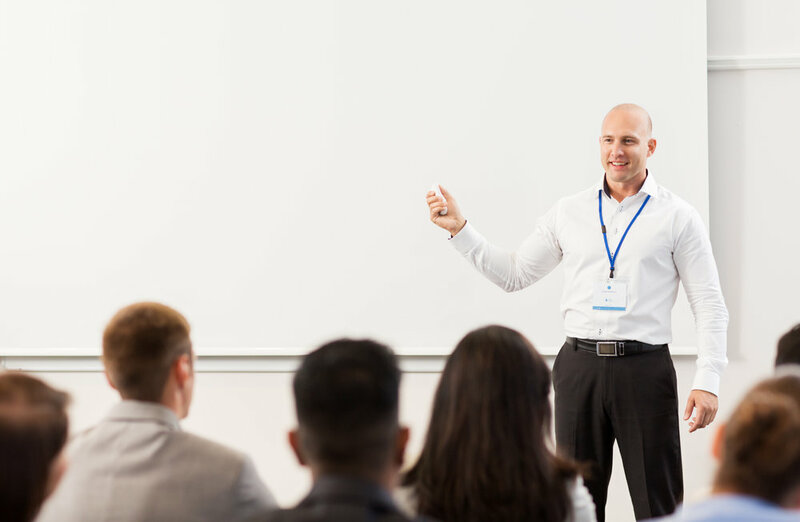 It's an essential part of the overall experience for the audience but more often than not, presenters and speakers focus more on what is going to be happening during the presentation, rather than afterwards. Giving your audience handouts allows them to have a constant reminder of your presentation, thus making it more memorable, furthering your chances of closing the a sale as a result. To help you use presentation handouts effectively, we have created some top tips to help you when creating your own. Prepare your presentation handouts in good time. Handouts that look like they have been hurriedly put together will impact the overall impression that you give to the audience. As much effort should be placed in writing your handouts as your presentation itself, thus complimenting each other. Don't just print out your slides. If you have followed our advice on PowerPoint Presentation Ideas then you will have created a presentation that has a limited amount of text. The slide itself may not contain the whole message, often just an image, therefore only becoming clear as you speak. The slides themselves become a separate document, meaningless without the handouts to accompany it. Take into account that the handouts may be passed to people who did not attend your presentation, so ensure the handouts make sense on their own. Add associated pictures from your slides on the handout. Create handouts that reflect your presentation. This is important so the audience can go back to the handouts after the presentation to find information they may not have remembered. It is also a good opportunity to add additional information about other relevant products/services your audience may be interested in. Give presentation handouts to the audience at the end. By handing them out at the end of your presentation, rather then the beginning, you are limiting the amount of distractions the audience could be faced with. You want to maintain engagement with the audience throughout, therefore ensuring your message is imprinted within their minds when they leave. If they then do unfortunately forget your key message, the handout will help remind them. Add your contact details. This is important so the audience can identify your handout with your business card, helping to drive business opportunities your way. You want to make it as easy as possible for the audience to get in touch with you after the event. For more information and tips on how to create presentation handouts, download our free smart sheet.